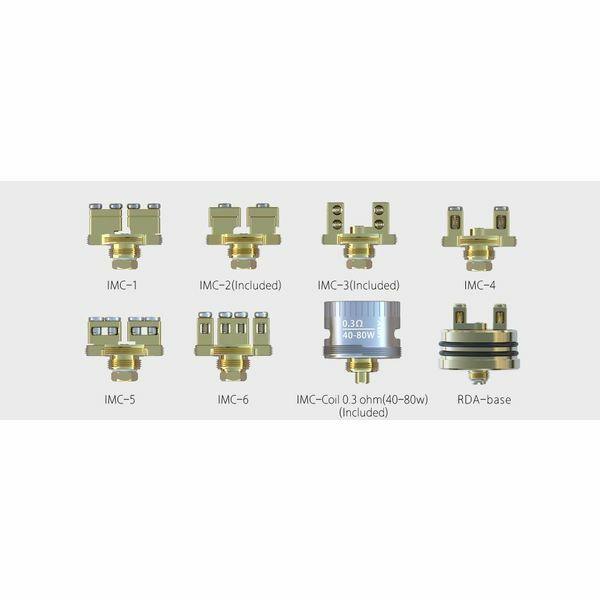 The Combo RDA is a 25mm diameter atomizer with bottom airflow system. The COMBO Squonk RDTA is the first innovative RDTA with Squonk pin from IJOY to work with most Squonk MODs, easy to wick with leak-proof design. With Gold plated postless deck, it brings easy yet powerful vaping for you. The iJoy COMBO Interchangeable Decks and Coils presents a fully swappable build deck designed for high performance coil configurations along with the convenient replacement 0.3ohm IMC-Coil. Replacement coils for tornado 150 tank. The iJoy Tornado Hero Replacement Deck & Coils provides a complimentary atomizer system to the high-performance Tornado Hero Sub-Ohm RTA Tank.